North of the Polar Circle a natural phenomenon occurs. We call it the Midnight Sun. From May and through August the skies blaze with shades of pink and gold through the night. The sun only sets for a few magic moments, casting glows of illumination throughout the dusk. 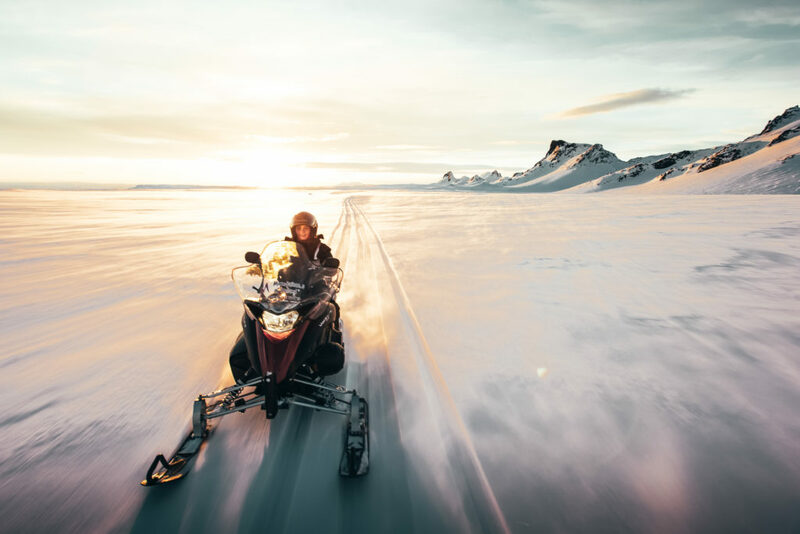 Far away from the city lights, we will be driving across the shimmering snowfields, breathing in the Arctic air while being embraced by the Midnight Sun. 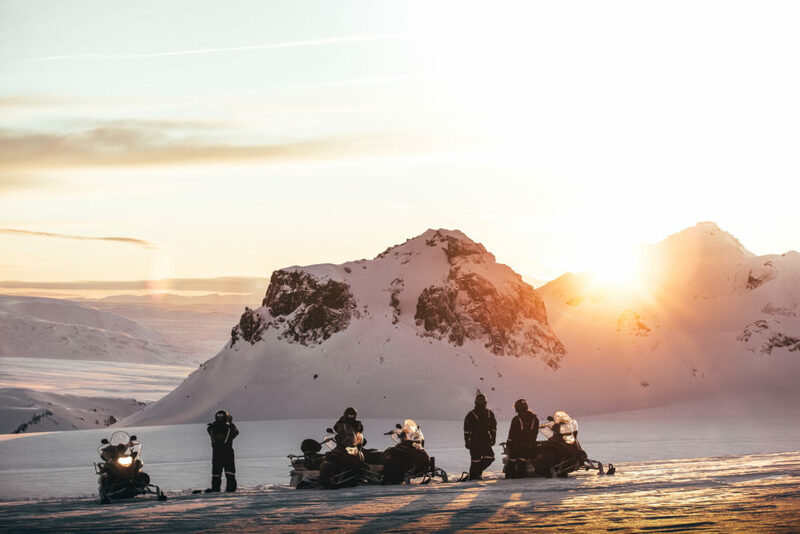 The vast glacier reflects the faint sunbeams, setting the stage for memories you will cherish forever. The tour starts from Húsafell at 19:00, about 2-hour drive from Reykjavík. 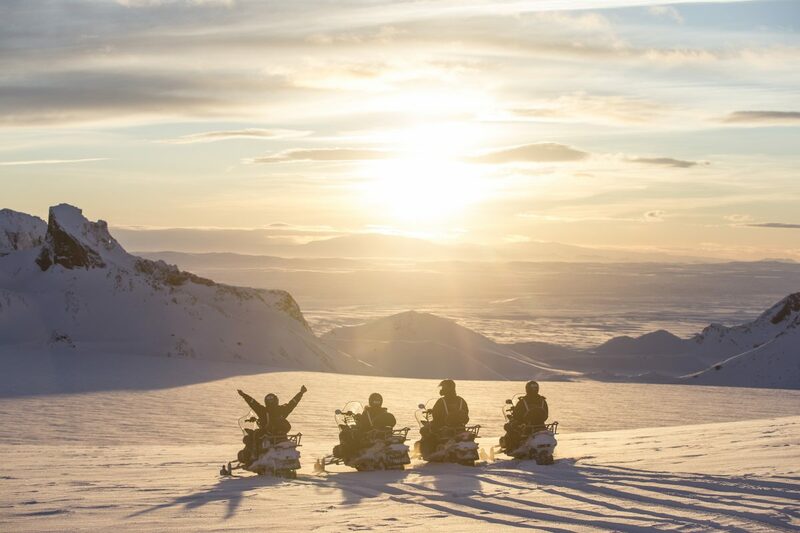 We head to Langjökull glacier where we gear up for the snowmobile tour of our lives under the Midnight Sun. 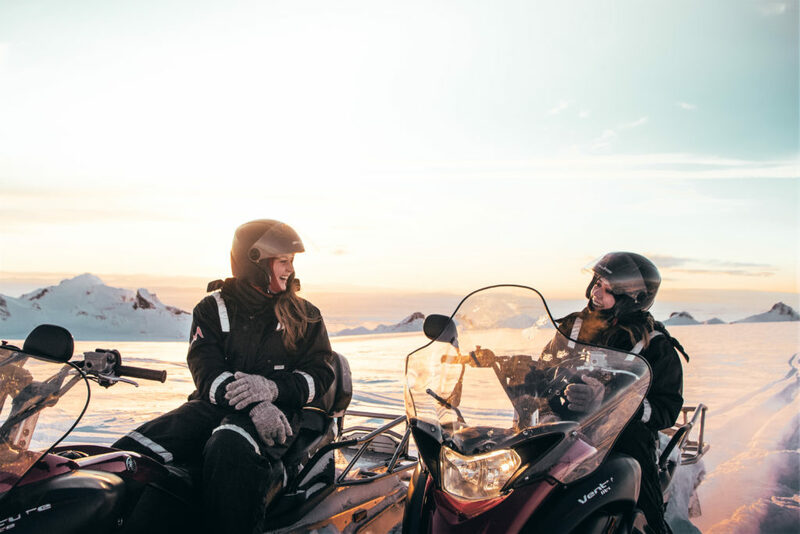 Our snowmobiles are double-riders and children are welcome to ride as passengers as long as they have reached the age of six. 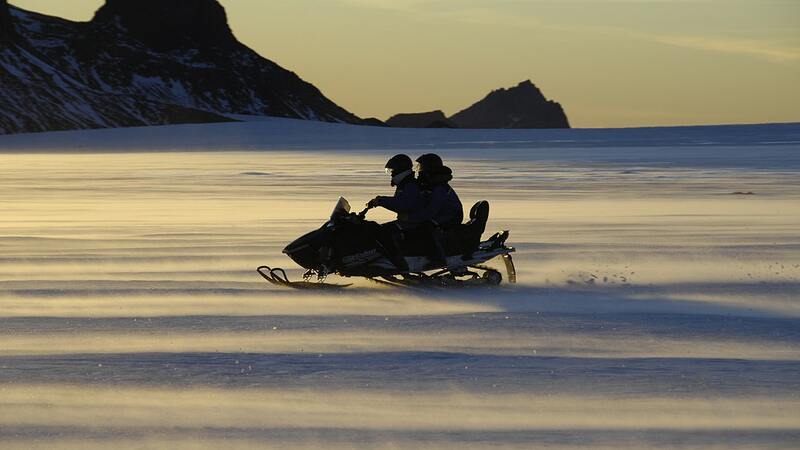 A valid driver‘s license is needed to operate a snowmobile.